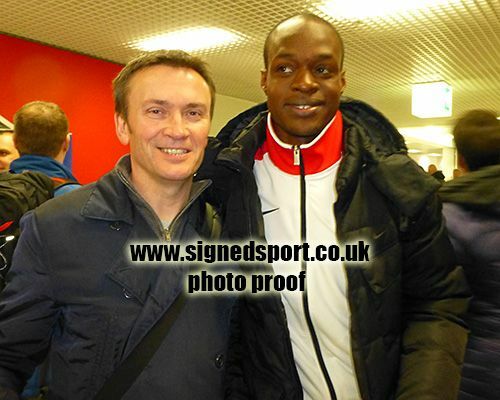 James Dasaolu British 100m sprinter signed 8x6 inch photo. 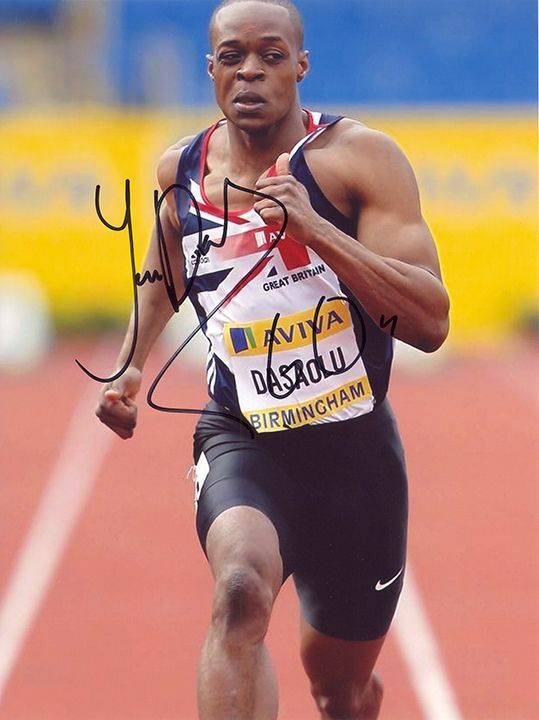 James Dasaolu, British 100m sprinter, signed 8x6 inch photo. 8x6 inch colour photo personally hand-signed in black sharpie pen by British sprinter, James Dasaolu. Dasaolu specialises in the 100m but also runs in the 60m and 4x100m relay. In July 2013, he became the current fastest 100m sprinter in Europe and the second fastest Briton of all time after running a 100m time of 9.91 seconds in the British Championships.